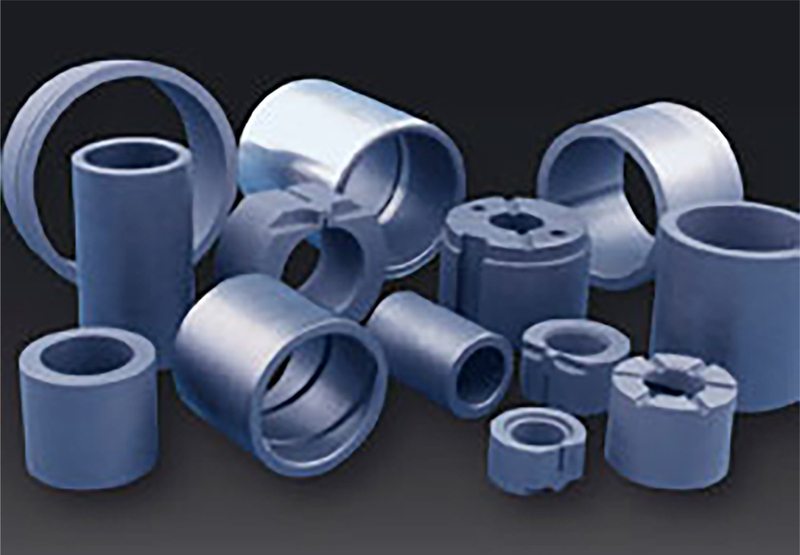 Seal Rings | Trade Engineering Ltd.
Tradengineering Graphite Products use carbon graphite, electrographite and silicon carbide sliding seal rings for mechanical seals used for various types of pumps and devices depends on conditions in which these materials work. According to this usage it is necessary to decide on a suitable material and impregnation. The conditions which specify the type of material and impregnation of particular applications depend on several technical parameters and demands such as the temperature during the application, pumped and sealed medium and its chemical properties – (acid, alkaline and neutral), friction (wet running, mixed and dry running). Impermeability and wear resistance are the most frequent demands achieved by the impregnation which are chosen in accordance with chemical properties of medium and a counter face. Both material types – carbon and silicon carbide can be used individually or they can work in combination(carbon – silicon carbide ; silicon carbide – silicon carbide). – for use in liquids which lack any marked lubricating effect, e.g. water, water solutions, petrol etc. – good usage in liquids which lack any marked lubricating effect, e.g.water, water solutions, petrol etc. As far as seal rings and guide bearings for steam heads it is necessary for the seal ring with concave and convex surface to be impermeable as well as to seal the vapours and heating-oil on steam head. Carbon material is suitable for all of these applications. The choice of impregnation depends on technical parameters such as the temperature, chemical composition of medium in which these materials work and also the type of material which the counterface is made of. The most common are antimony and resin impregnations.